As the hot summer slowly fades it will be none to soon……. 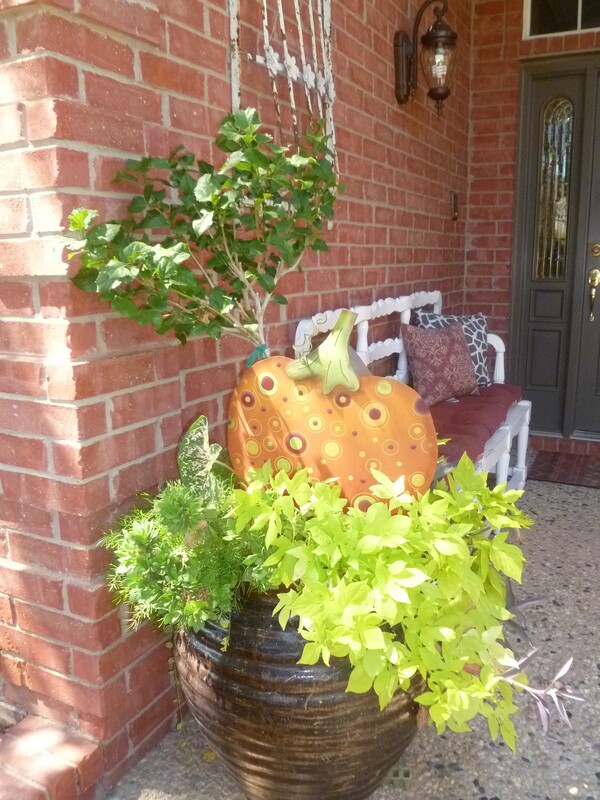 As Summer fades, we must say goodbye to these summer decorations. Show Me Fall Colors and Cooler weather! 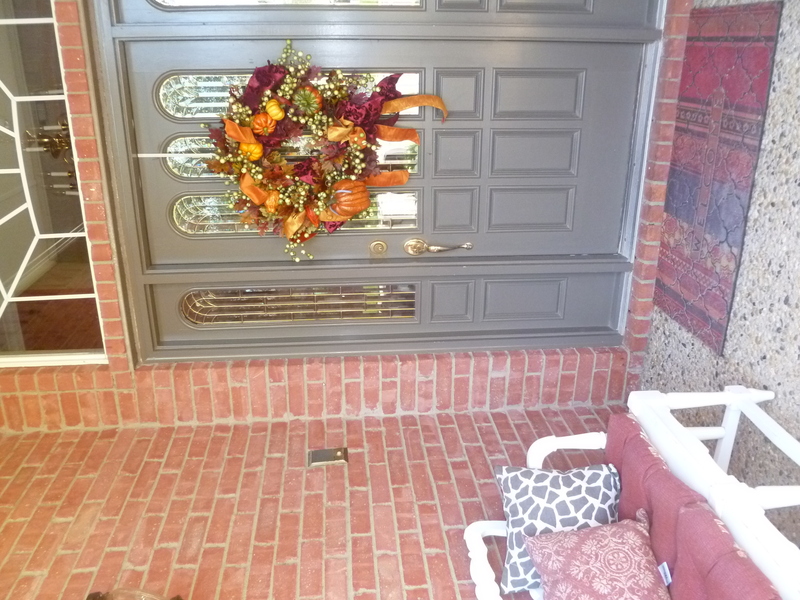 How do you create a Welcoming doorway no matter what the season? 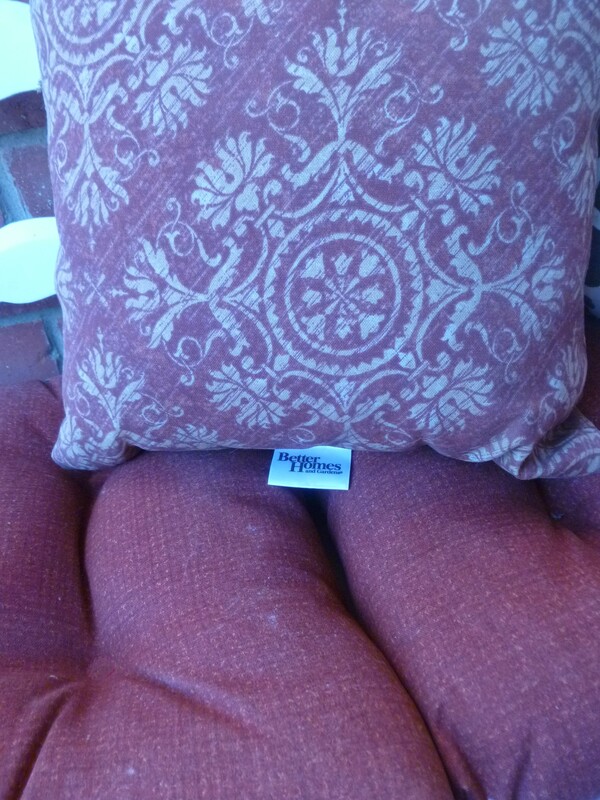 Step 2: Freshen your bench or chair with new pillows ( mine are from @Bhg @Walmart) my bench takes 3 chair seats and I added fun throw pillows, all made for the outdoors) The summer ones are bagged @spacebag and stored in the attic til spring. 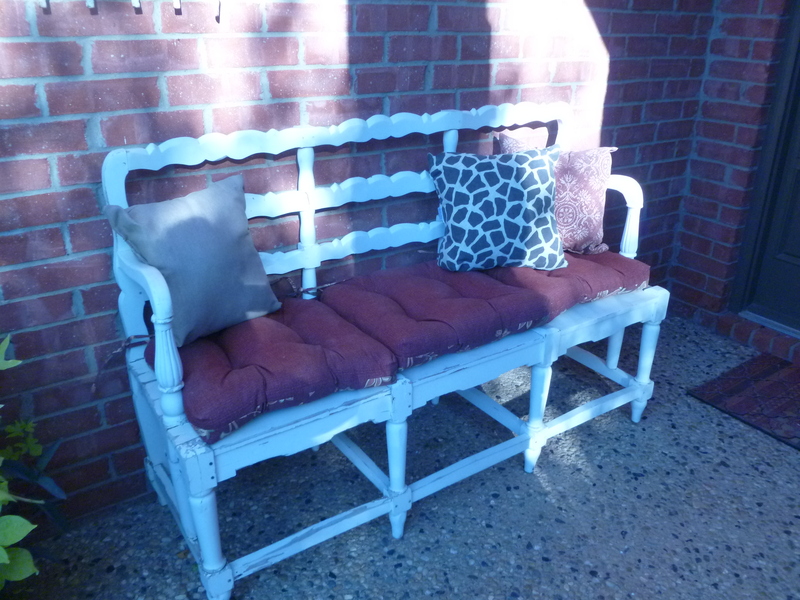 The Fall colored cushions pop against the white bench and make for comfy seating while I watch the grandkids ride their bikes! 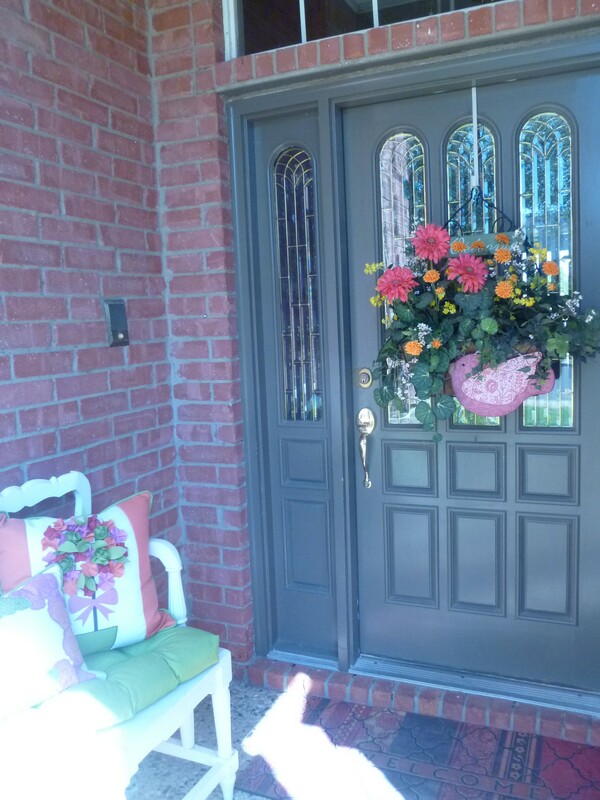 Step 4: Repaint the front door or touch up the scratches and scrapes, polish your doorknobs and kick plate. Step 6: Decorate for the Season! 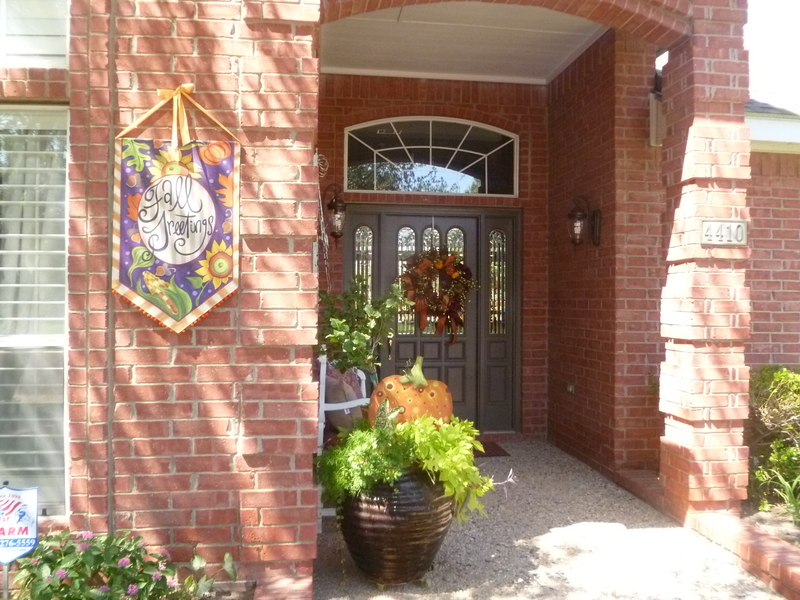 Add a wreath on the front door or side wall, bows and greenery attached to the light sconces, a festive yard stake to potted plants and a fabulous Lisa Frost fall banner! 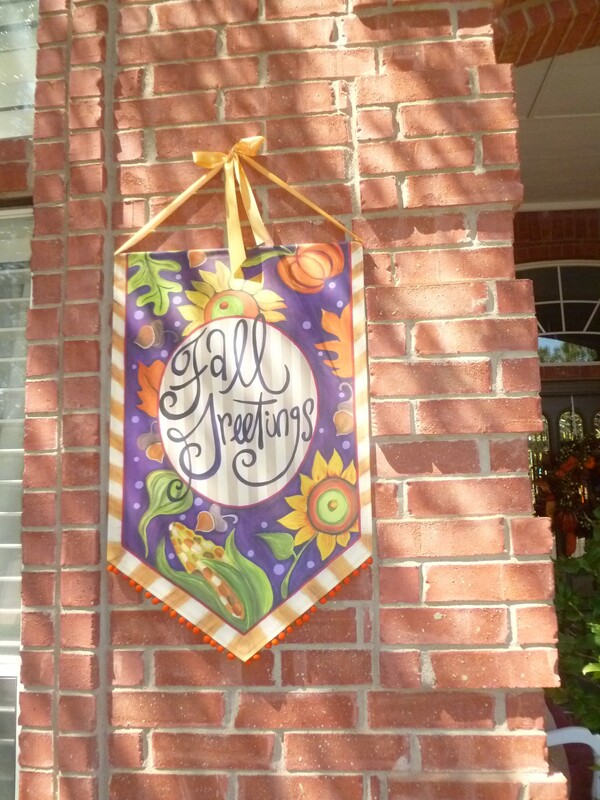 Welcome Fall, cooler weather, friends and family! Try adding this color of green to freshen up your fall decorating! It has been said…..you have just 7 seconds to make a good first impression……let Show Me Decorating show you how to make the most out of your Doorway’s first impression!